Ducati Traction & Wheelie Control Evo. 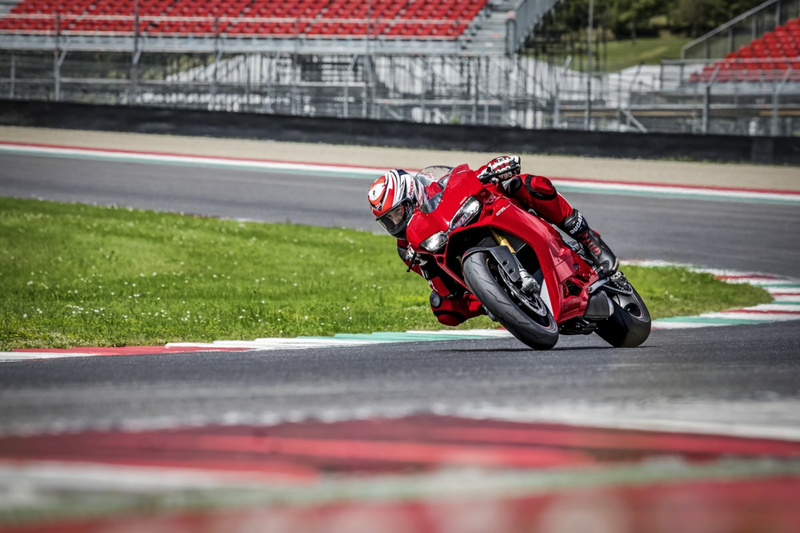 It is based on a new algorithm, developed in partnership with Ducati Corse, that makes operations quicker and more precise. It interfaces with the Bosch Inertial Measurement Unit (IMU) and measures the lean angle of the motorcycle at any time, using it to assess more accurately the action required and ensuring the perfect slipping of the rear tyre (according to the DTC EVO level enabled). Furthermore, the DTC EVO activates throttle body valves, in addition to the management of the ignition and injection advance. In all situations in which the quick action of the DTC EVO is not required, the use of throttle body valves allows keeping the best combustion parameters, resulting in a response of the engine and a smoother action. SPIN ON DEMAND: when the DTC EVO is set to level “1” or “2”, it adds a new function that allows the rider to drive the motorcycle at a level that in the past could be achieved only by experienced riders or professional riders. The Spin on Demand function provides a dynamic slipping control directly related to the rider request. Now, when the motorcycle is leaning into a turn, the rider can use the throttle as a direct interface with the system and, only for requests exceeding 120 Nm of torque, obtain a greater rear wheel slipping with respect to the one permitted by the standard intervention level of the DTC EVO, in order to start a gradual power oversteer which, by controlling the safety parameters, allows in effect closing the trajectory with the rear wheel.